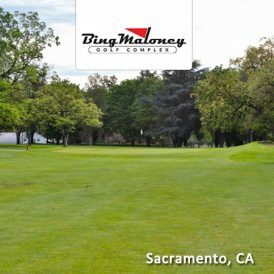 18 Holes – Par 72 Yardage: 6283 Architect: Ted Robinson, Sr.
Diamond Oaks Golf Course is one of the greater Sacramento region’s most popular facilities. Designed by Ted Robinson, both the front and back nine are challenging for all skill levels with water hazards and strategically placed bunkers. Hit it straight and you’ll be rewarded and the greens are well manicured and true. The course is always in top condition and the rolling hills and open fairways allow for a relaxing day. 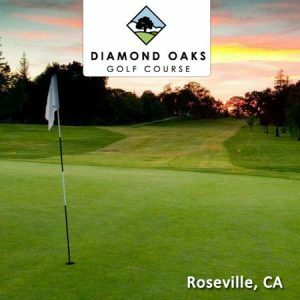 Diamond Oaks will suit all levels of ability as well as providing a fully stocked Golf Shop, Legends & Heroes Grill and practice facility. 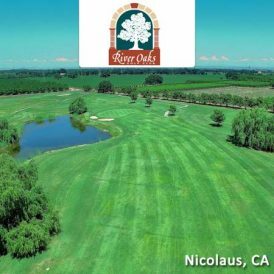 Serving the community since 1963, Diamond Oaks is an enjoyable golf experience. 349 Diamond Oaks Road – Map It!